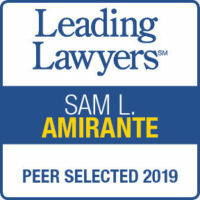 DUI | Sam L. Amirante & Associates P.C. Any of these punishments can significantly affect your lifestyle. It is important that you have an experienced DUI defense attorney who knows the DUI laws and is passionate about protecting your license and your rights. If you have been charged with DUI, the Illinois Secretary of State is already in the process of suspending your license. Should you fail to challenge the summary suspension within 46 days, the suspension with become effective for a period between 3 months and three years. We have obtained dismissals and not-guilty verdicts in dozens of DUI cases where our client failed the breathalyzer test. If you have refused a breath test, our work as DUI defense attorneys is that much easier. We have lost very few DUI cases when our client refused the breathalyzer test and there was no accident. Don’t be pressured into pleading guilty to a DUI charge! The penalties are too severe. A drunk-driving conviction can affect your driving privileges, your insurance rates, and your freedom. If you win your case, you not only clear your record, but you won’t have to pay fines, attend alcohol classes, or pay high-risk car insurance.